Christopher Newman is an American expatriate in Paris; his fortune made, he has moved to the Old World to enjoy his wealth and find a wife. Newman soon falls for a young widow, the aristocratic Claire de Bellegarde, but his brash New World sensibility horrifies her haughty family. Though the family oppose the idea of the couple's marriage, reversals of fortune cause them to reconsider. When another suitor arrives on the scene all appears lost, until Newman befriends Claire's younger brother Valentin and finds himself in possession of a dark family secret. 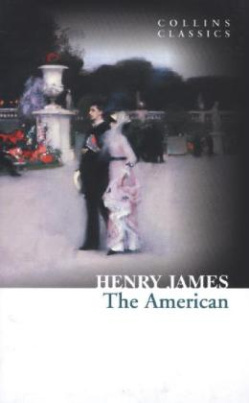 As the novel unfolds, James's unmistakable stylistic grace combines with his less well-known sense of melodramatic romance, resulting in a finale that combines duels, death, betrayal and blackmail.